If you're considering your options for an arborist or tree care provider serving North Venice, FL or other surrounding communities, don't look further than the team at Sarasota Tree Care Services. We're highly experienced and fully licensed and insured, and we want our customers to feel confident in using our services. 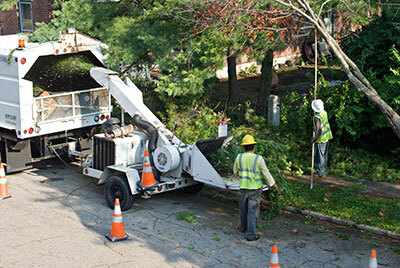 Some of the services we offer include tree pruning, tree removal, Spanish Moss removal, land cleaning, stump removal and grinding, and emergency tree service and storm clean up. 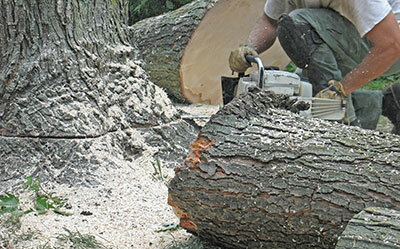 It’s our main goal to help you keep your trees beautiful and healthy. We believe that our employees not only have the knowledge and skill set to complete the job right the first time, but they also process unmatched customer service abilities. Sarasota Tree Care Services is open throughout the workweek, and our arborists are available to serve our North Venice, FL customers on the weekends as needed. Regardless of the scope of your job, we'll arrive ready to get completed efficiently and professionally. Our team members take pride in their ability to get a job done right. We take our tree care very seriously, and we believe caring for your trees means extending their lifespan and helping our environment. If completed in the wrong way, tree care services such as pruning or removals can cause irreversible damage to a single tree or the entire landscape. It’s very important to understand that tree care services, even just pruning or trimming, are not do-it-yourself tasks that should be attempted by any property owner. Our team not only has studied trees for many years, but we have the experience to back up our results in North Venice, FL. The arborists at Sarasota Tree Care Services are Florida's experts in tree care; you won’t find another team with more qualifications than ours. From our state-of-the-art equipment, to our experience on both residential and commercial properties, and the ability to work hand-in-hand with our customers to determine their specific needs, our services are unrivaled. Whether you have acres of sprawling landscapes and trees, or if you have a small one-acre lot, we’re ready to help you meet your tree care goals. For some of our customers, they are looking to plant brand new trees in their yard or remove old, rotten stumps from their landscape—luckily, we can help with both. We know that a stump can get in the way of a lot of things. For example, you may have to take note of the stump when you are mowing the grass. You’ll also want to ensure that any children playing in your yard don’t trip over the stump and accidentally hurt themselves. Not to mention, that stump may be the location of an ant colony or other infestation that is beginning to affect the condition of your property. Regardless of what your reasoning is for enlisting our services, our team at Sarasota Tree Care Services is here to make sure your tree care goals are met and exceeded in North Venice, FL.